Here is an absolutely incredible ambient remix to Bomb the Bass’- “Up The Mountain”. Gui Boratto, native to my favorite futbol nation Brasil, arrives with yet another incredible remix! I figured it wouldn’t be enough to simply introduce “Misread” without giving you something else to base your opinion off of. So I decided to include “boat behind” which is beautifully shot and directed. Play close attention to the vocal and guitar harmonies that are carefully placed throughout the song. I won’t give them away, you must listen for yourself! Absolutely beautiful. 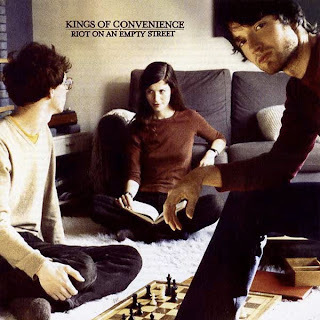 From the same Norwegian city that hails “Royksopp” comes a virtuous guitar duo, Kings of Convenience. Their music is a combination of bi-directional acoustics that are usually driven by a low chassis lead vocalist Eirik Glambek Bøe. Their lyrics are complex yet simple, simultaneously. Before I listen, I connect first with my inner self and lend my ears to thier message. It is not every song of theirs that I do this to, but “Misread” is the one.. I am not quite sure what the video is attempting to depict, but my interpretation brings me into the realm of true friendship. I could be wrong, but look for yourself. Fulljoy! This is high-quality engineering folks. Take in this absolutely amazing mix of drum & bass from Burial. Bless Up! So, this week a buddy of mine in Spain, sent me a link to a brand new unreleased Major Lazer track ft. Lindi Ortega & Collie Buddz. Check it out! To wrap up this week, I have decided to remake one of my favorite Sade songs of all-time in light of her new album Soldier of Love coming out. As I mentioned earlier this week, “All about our love”, was not one of Sade’s commercially released singles, but it is still in my book, one of the most incredible love songs within her arsenal. So with that said, I decided as a music producer & artist, that it was my duty to connect with the music and to recreate what I see in the sound waves. As I began making the beat, I realized that the drum/bass tracks sounded very similar to “Billy Jean” by Michael Jackson so I went with the flow and decided to add a hint of reggae to reflect the upbeat notion that love has to offer when it is ‘true’. I hope you can connect with the music and I wish everyone a wonderful weekend! Bless up.